Book lovers! You are at the right place for the most enticing novels and stories. Read your favourite books of fiction, romance, fantasy, mafia, CEO, martial world and any other genres you are looking for in MoboReader! 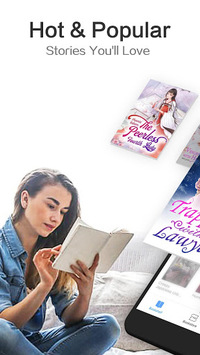 Various genres of ebooks include romance, mafia, sci-fi, action adventure, fantasy, young adult fiction, fanfiction, LGBT, phantom & devil, vampire & demon, classic, xuanhuan, wuxia novel, original work and MoboReader exclusives. - daily free coins to unlock any ebooks and chapters. You will have a library for the stories you love. Read in the way as if you are reading a real paper book. Freely change and adjust the text size, font, color, background and more settings for you to find the best reading experience on your mobile book reader. 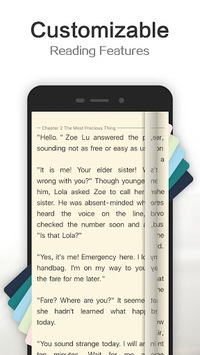 Save and preload the stories on the ereader to enjoy reading even when you're offline. PDF reader: Import and upload books from your phone and computer, and read EPUB files, PDF files, txt documents, UMD files and other 30 file formats of e-book with Mobo Reader. Listen to the e-books with our easy-to-use audiobook player. More and more talented authors and readers are joining us to take on the mystical adventures of amazing stories!